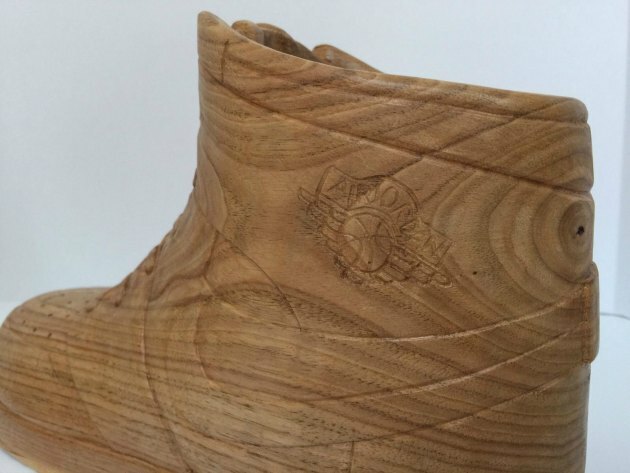 Sneakerheads have paid some exorbitant prices to get their hands on coveted pairs of Air Jordans, and one woodworker is hoping he can get in on the madness surrounding the sneaker market. 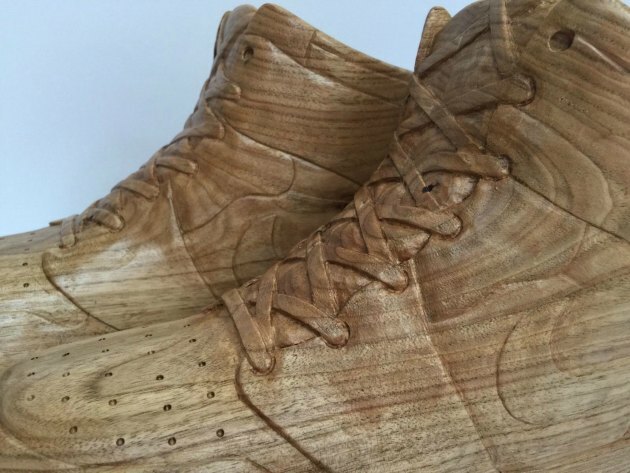 A pair of size 12 Air Jordan 1s made of butternut wood have been put up for sale on eBay with the starting bid at $10,000. 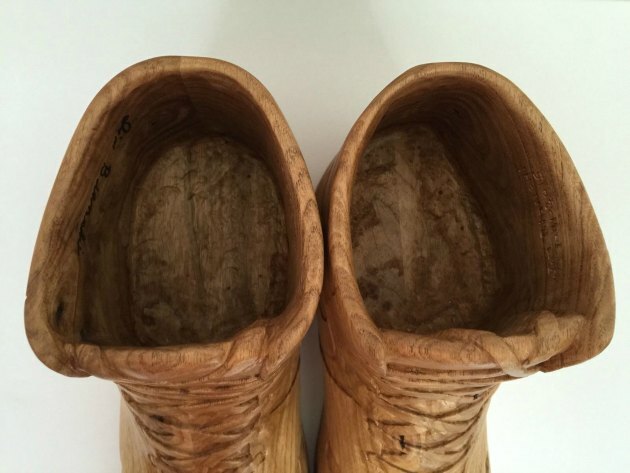 The craftsmen who carved this unlikely pair of shoes said he was inspired by his childhood desire to buy the coveted kicks, even though they were outside his price range. Though I always wanted to, I never owned an actual pair made by Nike. 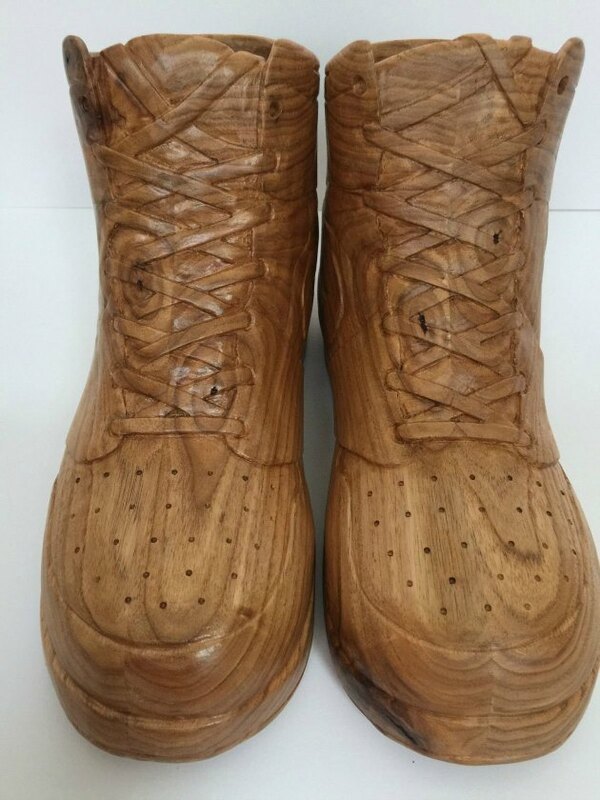 So, in my mid 40’s I was able to get my hands on a signed artist rendition of the 1985 Air Jordan I basketball shoes. I believe that dreams are meant to be shared; therefore I’m making them available for someone who can appreciate them as much as I do. While $10,000 is a very high price to ask for shoes you would have a hard time actually wearing, it is not anywhere near the record for Jordan's, which is held by the autographed pair of game-worn Air Jordan 12s from Jordan's famous "Flu Game" in the 1997 Finals. Those went for $104,765 in 2013.